Blueberries are indigenous to North America and have deep roots in our country’s history. The blueberry may be small, but it’s no youngster. Botanists estimate blueberries burst onto the scene more than 13,000 years ago. Blueberries might be called the Great American “friendship berry.” When Europeans first arrived on the North American continent, the Native Americans were already enjoying blueberries year-round. They dried blueberries in the sun and added them whole to soups, stews and meat, or crushed them into a powder rubbed into meat as a preservative. According to legend, Native Americans gave blueberries to the pilgrims to help them make it through their first winter. dynamic little blue fruit. 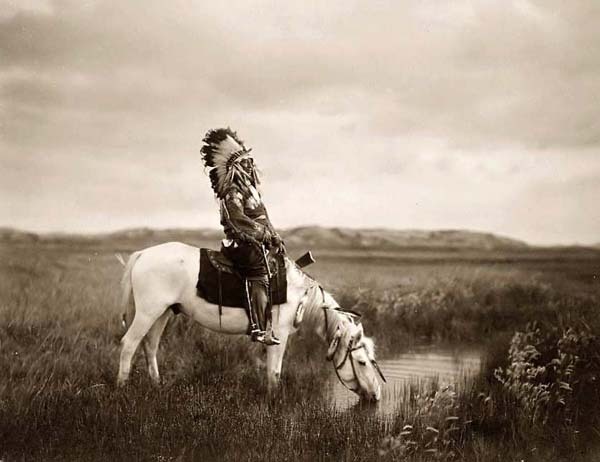 Tribal elders recounted how the Great Spirit sent “star berries” to ease the children’s hunger during a famine. They called blueberries “star berries” because the blossom end of each berry – the calyx – forms a perfect five-pointed star. Blueberries were a staple in the diet of the early Native Americans for thousands of years. Later the Native American tribes introduced these wonderful berries to the arriving settlers, and offered them as gifts of friendship. The Native Americans used blueberries (and their leaves and roots) for medicinal purposes, and developed one of the first blueberry baked goods, which they called Sautauthig (pronounced sawi-taw-teeg). This simple pudding made with blueberries, cracked corn (or samp) and water was a Native American favorite. Sautautig became popular among the settlers too; they added milk, butter and sugar to the recipe, and many historians believe it was part of the first Thanksgiving feast. Across the Atlantic, the Europeans turned to close cousins of blueberries – called bilberries – for a variety of medicinal practices. They brewed bilberry roots into a tea to help women relax during childbirth, used bilberry syrup to treat coughs and associated the berries with good eyesight. It’s just like blueberries to be at the center of so much attention! 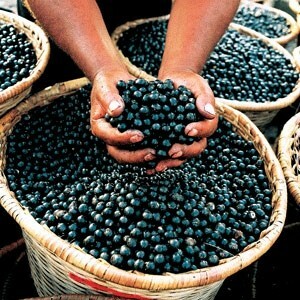 “Cultivation of blueberries was widespread among the Native American tribes throughout North America. European colonists learned about blueberries thanks to these Native American traditions and brought blueberry species back to Europe. Yet commercial cultivation of blueberries in Europe has been a relatively recent phenomenon limited to the 20th and 21st centuries. Thanks to increasing cultivation in the Southern Hemisphere–including South American countries such as Chile, Argentina, and Uruguay as well South Africa, New Zealand and Australia–fresh blueberries are now enjoyed throughout the year on many of the world’s continents.